Researchers coaxed stem cells into forming pulsating heart tissue. A tiny pulsing strip of muscle could help save the lives of 33 million people. That’s how many people suffer from atrial fibrillation, the most common type of irregular heartbeat. Scientists have yet to invent an effective treatment for it, partly due to the difficulty in isolating heart muscle cells and then keeping them viable long enough to develop and test new drugs. Now, a team of German researchers has grown strips of human heart tissue in the lab. Not only does the tissue express genes and respond to drugs in ways that closely resembles those of naturally derived atrial heart tissue — but it also beats like the real thing. Human induced pluripotent stem cells (hiPCSs) start as adult cells in a person’s body. Scientists then revert the cells to the stem cell stage, after which they can force the hiPCSs to grow into any tissue type. According to the German team’s study, which was published Thursday in the journal Stem Cell Reports, the researchers created their human atrial heart tissue by treating hiPCSs with all-trans retinoic acid, a substance made from vitamin A that helps cells grow. 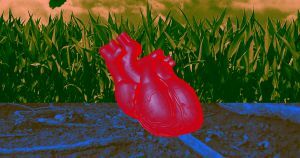 Rather than culture their cells to grow in a flat, two-dimensional layer, though, the team then coaxed them to grow into 3D strips of muscle tissue, a form more similar to actual atrial heart muscle. The researchers are now focused on figuring out how they can use their lab-grown heart tissue to develop treatments for atrial fibrillation.